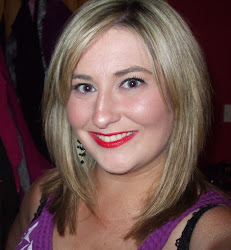 I love a good statement necklace, there is no doubt. I've spoken about my fondness for neck pieces often. Once every six months or so, I like to go on eBay to pick out new pieces of jewellery, and pick them up for bargain prices. Most of the jewellery that I order comes from China (but where do you expect it comes from when you order from a UK or Irish seller) and takes about a month to arrive- but everything I have ordered has always arrived in perfect working order and 99% of the time, the postage is free. I've read the stories about items not arriving etc. but I have never had any such experience thankfully. I consider myself a bit of an eBay jewellery veteran now so, before I show you what I picked out, here are my top tips for getting the best bargains. 1. type in something generic like 'statement necklace' into the Search bar. 2. when your list of products come up, go over to the side and select 'eBay worldwide', 'buy it now' (you can chance your arm at auctions if you wish but I don't trust myself not to get carried away!) and 'free P&P'. 3. up at the top, you can select sort by 'price: lowest first'. 4. try to buy from buyers with a good feedback rating- and yes, 99.8% positive feedback from 45,618 sales is a pretty extraordinary achievement! Feel free to browse and use your watch lists to index the items that have caught your eye. So without further ado, let me show you the pieces I picked out, the prices I paid and the sellers I bought these from if you would like to pick some up too! I picked this up from Lisa a few months back, and I absolutely love it. It's such a statement piece and has gotten me many a compliment. I love the way it sits with a high neck top, and I think it's quite striking without looking like a bit too much. This costs €17 and you can get it from Pinksugar Online store. Because I loved it so much, I went in search of a silver version, and I also ended up picking up a black version. The silver version was €5.09 and the black was €5.82 (including postage!!!) from this seller and this arrived within a week. I love white jewellery in the summer and this symmetrical white number sang to my soul! At €6.58 from this seller (including tracked delivery), I was particularly chuffed with this bargain. I saw something like this in a magazine (though I cannot for the life of me remember which magazine it was) and it was styled with a baby pink Peter Pan style top. It struck a chord with me then and I decided to purchase it for €2.45 including free delivery from this seller. This was the first one that I ordered, and it took the longest to arrive, but it was the one I was most excited about, and the one I love the most. I know Zara had this exact necklace a few months back- Fleur de Force has championed it plenty- and I've tried every Zara shop on the island of Ireland looking for one for myself. I was going to pay €30 for it to an Irish online jewellery retailer until I quite accidentally stumbled across it on eBay for a mere €7.40 including tracked delivery from this seller. I have worn this a few times since I got it and it has earned me many a compliment and I know I will wear this loads over the summer. The same seller also has a grey resin version available and I think I will pick that up also. This puts the state into statement! The simplicity of the necklace above really appealed to me, and I picked up this one from this seller for €2.48. There is also a version of this with pink stones instead of black and blue stones instead of the black from the same seller for the same price if you are looking to incorporate a bit of colour. For me, the black, gold and clear resin combo was too difficult to resist. I know it might seem crazy to buy five necklaces which are the same in every aspect apart from the colour, but there was something about these beauts that made my heart flutter. They are not too big and chunky, quite reserved in the statement stakes but still bling enough, and they are perfectly symmetrical which is just a necessity in my mind. These were also sinfully bargainous- yellow, green, pink and blue versions all came from this seller and cost €2.61 a piece including delivery and the white one was €3.65 from this seller, again delivery inclusive! When I saw this necklace, I was transported back in time to another era. I don't know about you but this screams The Great Gatsby to me. I have no idea how or what to wear this with but I will definitely wear it. €2.45 from this seller. I am weak for spikes and diamantés so when this triple layered diamanté number with a sprinkling of spikes appeared in my search results, I just took it to be faith. €2.74 from this seller. I was very lucky to receive a gift of a Betty and Biddy Shamballa bracelet last Christmas at a blogger meetup organised by Lisa of Pink Sugar Sparkles and I have literally worn it every day since. I wanted to pick up another one online, and this one with it's purple and clear beads won me over. €1.32 from here. I've had this little dainty bow necklace before and I must have lost it because I have searched my jewellery boxes high and low for it. My sillyness in losing it only cost me €1.22 for the replacement however (including delivery) from this seller so I can just about bear the pain! I love navy and I love the nautical look in the summer, so this white and gold anchor bracelet was a no brainer! (No marine themed jokes please!) This was just €1.97 from this seller. Again, because I am drawn to simplistic white jewellery at the minute, I thought this little white infinity bracelet was adorable. I layer this with other bracelets and at 91 cent including delivery from this seller, I can afford to pick up a few more colours! I adore rose gold jewellery but I never buy it- for some reason, I feel like anything gold does not suit my colouring. I've lusted over a rose gold Michael Kors watch for the longest time so I thought I would try out something similar from eBay before investing in the real deal. I paid €3.80 for this rose gold watch from this seller. There is nice bit of weight to this watch and it looks more expensive than it is. I have to get a couple of links taken off the strap but even if that costs me a few euro in a jewellers, I think I have still gotten a bargain! I quite like the relative simplicity of this necklace with it's dark chain and hanging bauble detail and little diamantés for a bit of bling. Only €2.46 from this seller. So, like I said, I know it may look like I have gotten alot, but I really only buy jewellery from eBay every couple of months in batches. Which piece is your favourite? 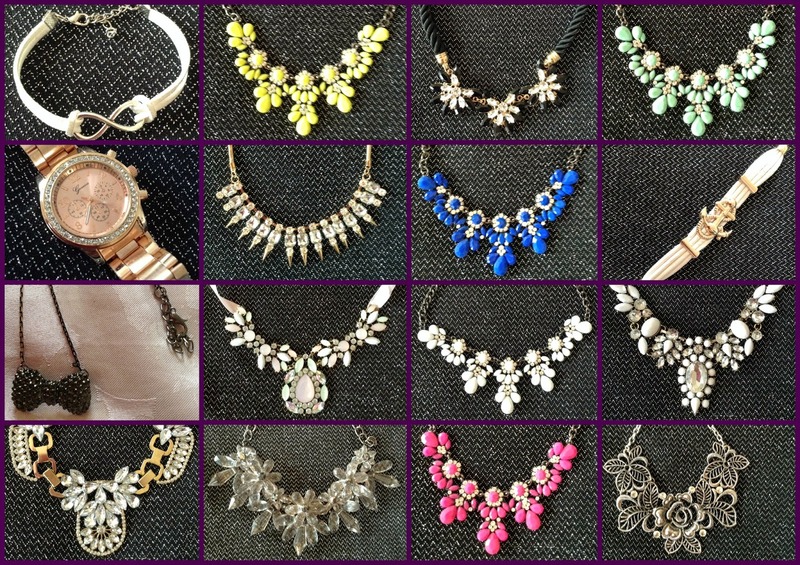 Do you love eBay bargain jewellery shopping too? Were you even aware there are such beauts to be found on eBay? I agree in a way- price differences can be very steep. I saw that Art Deco one in Dunnes for either €12 or €15- considering it was €2 something on eBay, that's not an insignificant difference. It's important to shop around! 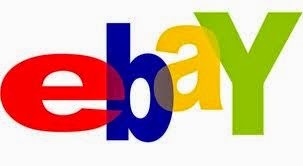 Great bargains to be had on eBay though- all I ever buy on eBay is jewellery! That is some impressive haul my friend, nice wan putting all your sellers in too, makes it so much easier to find other good items! Thanks so much for this, I've wanted that "Great Gatsby" one for ages now and I've only seen it for 20 something euro on Irish sites, just bought it there from your seller, such a huge difference in price!! Great post, just coming across it now. Had to place the order for the Zara alike one! Interesting and useful information that you have provided here on your post gemstones. Such an arrangement sounds really pipe dream. It is critical that you vet every single such offer for a free web rebate card, be cautious and ensure that it is the genuine organization that is sending you the data. It is currently the turn for the dropshipper's to assume the liability in finishing the request,Drew Barrymore Face Cream yet you need to ensure that the great you conveyed is gotten by the costumer and give them the fulfillment.